Whether you’re on the road or in the trail, you want to be as comfortable as possible to perform. 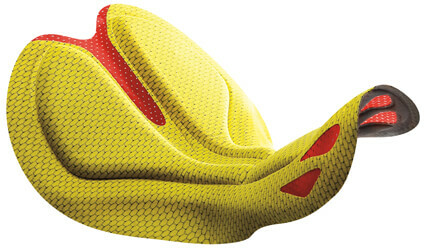 Learn more about our selection of chamois all available in our custom cycling apparel line. The innovative 5Motion design combines 3D preshaped wings and a deep split at the back bridged by vented mesh to allow for multidirectional motion and amazing comfort. Mesh area at the front adapts to the body for increased comfort and moisture wicking. Multi-thickness perforated high-density foam. Carbon fiber fabric evacuates moisture and keeps you dry. Men's red. Women's pink. 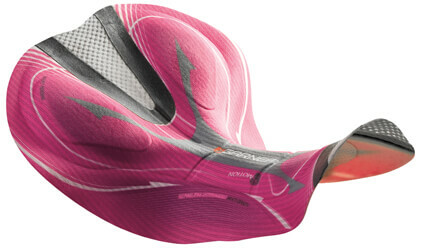 New for 2011, the innovative 4Motion design combines 3D preshaped wings and a deep split at the back bridged by vented mesh to allow for multidirectional motion and amazing comfort. 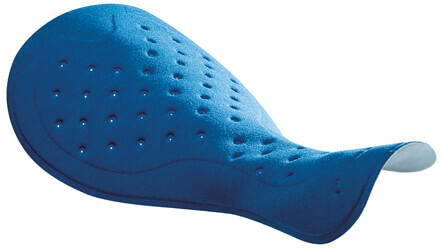 Internal padding consists of multi-thickness perforated high-density foam absorbs shocks and evacuates moisture. High-tech bacteriostatic carbon top sheet fabric. Meshed ventilation offers breathability and heat dissipation. 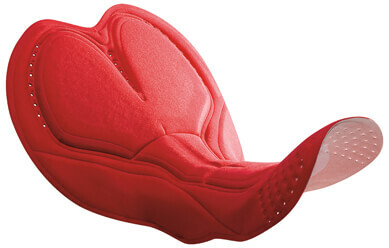 Pre-molded wings are engineered to accommodate body contour. 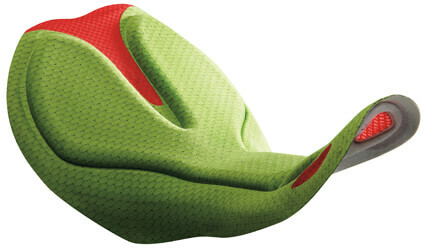 Louis Garneau Patented Ergonomic Shape. Men's yellow. Women's green. Made with CUPRON fabric which the copper content helps reduce irritation to the skin, provides antimicrobial properties, can help promote wound healing and provides anti-allergen properties. Long-lasting effect throughout the life of the product. Perforated gel inserts offer comfort and breathability. Multi-thickness perforated high-density foam for better moisture evacuation. Vents at the front help maintain breathability without sacrificing comfort. A deep slit at the back is bridged by vented mesh to allow for multidirectional motion and amazing comfort. Developed with B.E.M. (Beveled Edge Molding) high-density perforated memory foam. This technology eliminates drastic drops of heights from one area to the other, resulting in a smooth transition without pinching points to eliminate chafing. Developed with B.E.M. (Beveled Molding Edges) that eliminate any drastic drops of height at the edge of the high density perforated memory foam. 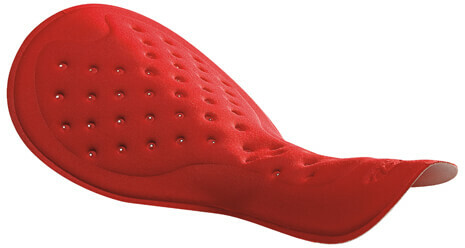 This technology creates a smooth transition and eliminates pinching points and chafing. Seamless construction with the addition of small ventilation holes maintains moisture and air transfer without sacrificing comfort. Outer fabric is treated with an anti-bacterial solution to combat the effects of retained moisture and the growth of bacteria. 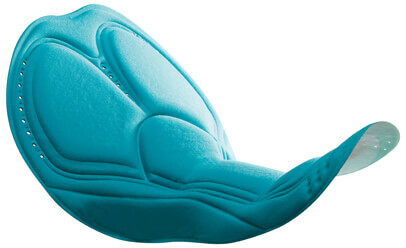 A 4-way stretch and pre-molded wings conform to both the body and the movement of the saddle. 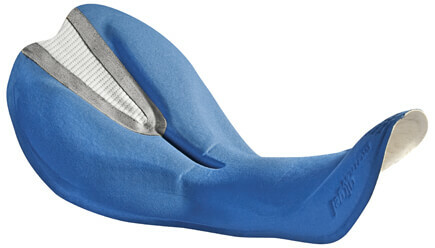 Quick drying, ultra-thin chamois is multifaceted to accommodate the swim, bike, and run. Antibacterial top layer accelerates wound healing, promotes tissue regeneration, and inhibits bacteria growth. Because of this antibacterial function, CRABYON fabric actually retains its function after washing and abrasion, and therefore, these properties are not compromised after the swim portion of the race. Vents assist in water and moisture evacuation. 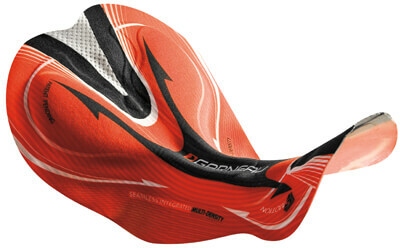 An ultra-thin, lightweight chamois with 4-way stretch to accommodates swim, bike, and run. Quick-drying and breathable. Fabric is treated with anti-bacterial solution to combat the effects of retained moisture which can increase the growth of bacteria. 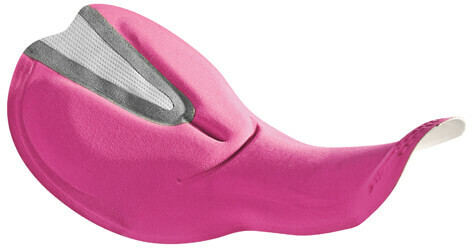 Lightweight, quick-drying fleece chamois provides good protection while on the bike.